We agree that the primary purpose of any summer camp experience is fun. But at Mountain Meadow Ranch, fun is a given, and while having loads of fun we aim for something more. Our hope is to provide a social environment that enhances our quality program of activities. We work to create an environment that is healthy and safe; where encouragement, laughter and joy are the norm. This provides unlimited opportunities for new experiences, while expanding physical and social skills, and individual growth and development. With our limited enrollment of 100 campers and a consistently high return rate (+70% return since 1993), a strong sense of family is quickly developed. As part of this family, all campers are invited to join in the mission of creating that positive environment of encouragement, caring and peace. 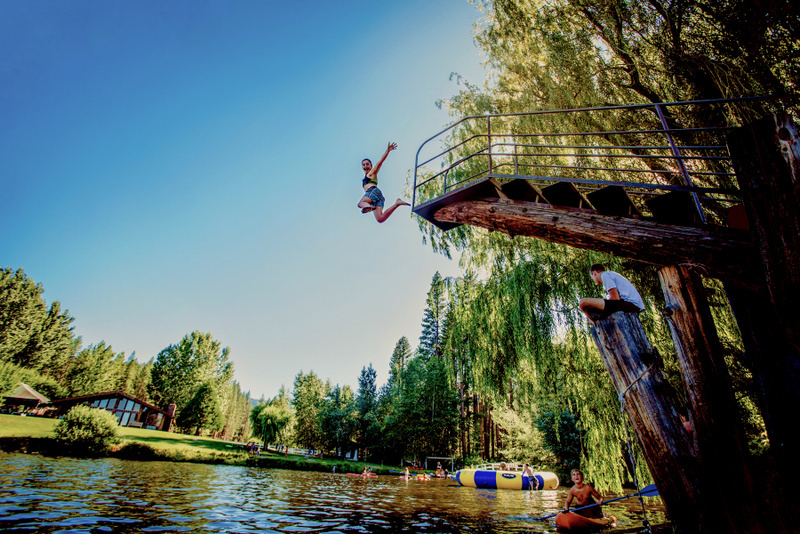 Mountain Meadow Ranch is so much more than just a summer camp. It’s a place where fears are conquered and identities found. It’s a place where genuine relationships are born and flourish. We teach and practice stewardship, inclusiveness, empathy, encouragement, and integrity as a family. As we celebrate authenticity, we help each other find joy in our uniqueness and encourage all to dance outside their comfort zones. The heart of Mountain Meadow flows from a Maidu Indian word meaning “serve all”, this is the core of our philosophy. At each of our weekly campfires a Director will remind the camp family of the Aj Yepekanbe philosophy: to continue serving each other as we practise these character traits.